Uttar Pradesh Police Sub Inspector - UP Police SI 2016-17 Re-exam is being conducted from 16th December 2017 to 22nd December 2017. Today's 01st shift was successfully conducted from 08:45 - 10:45 am. 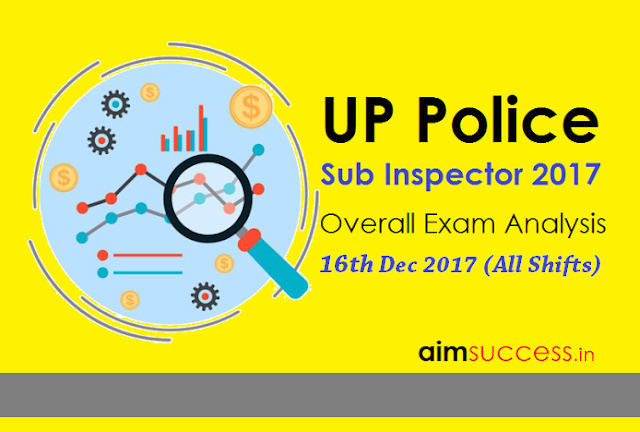 In this article, Today we are providing you the Complete Exam analysis of UP Police Sub Inspector Exam held on 16th Dec 2017 so that all other aspirants can get an overall and clear idea about exam pattern and difficulty level. The Exam is being held in online mode.